Finally, I can positively say “Winter is here”. 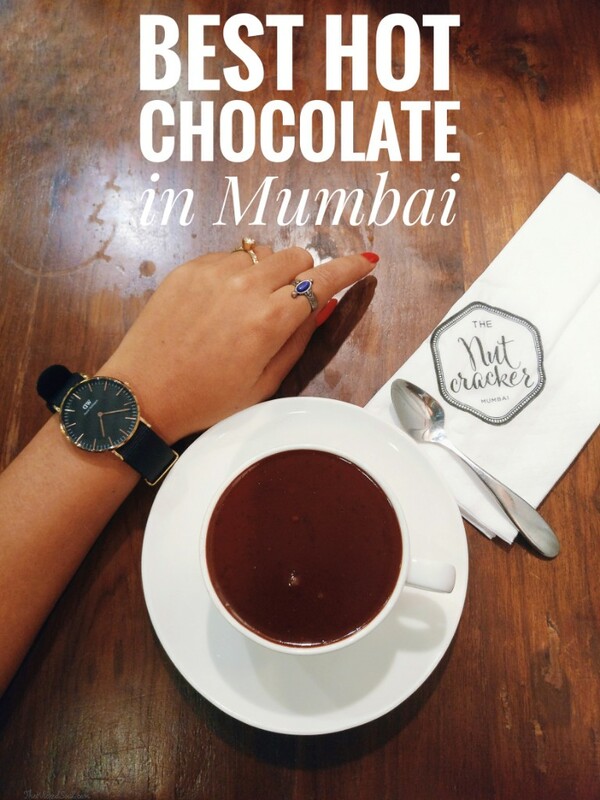 I can feel the nip in the air and all I crave for on these chilly evenings is Hot Chocolate. But to be honest, it ain’t freezing cold or snowing outside (missing Paris right now). As Mumbaikars, our city’s weather is more humid and pleasant than cold, and so, even a mere 28 degree gets us reaching for a warm cup. My love for Hot chocolate knows no boundaries; it is love made edible. A café, for me, is judged on the quality of the cocoa served there. From the watery milk with Cadbury powder bobbling on top to rich thick indulgent molten chocolate that requires a spoon, TWS has tried almost every quality prepared. It took me hours to put this list up. I hope this will save you from the nightmarish Bournvita-like hot chocolate and let you pick the best ones this winter. Alas we don’t have Godiva or Angelina here still, but the cafes listed below would not make you miss them either. Once you have tried these, I am sure you will never look at the hot chocolate as a regular drink. This was a suggestion from one of my Insta friends Rakesh (@shutuploudly) who knew how much I love a good cup of hot chocolate. I was there to experience a hot chocolate like never before. Nestled in the bylanes of Kala Ghoda, this café whips up each cup with perfection. Prepared using Callebut chocolate, it simply is molten chocolate in a cup – a pure indulgence. It is just dark as my soul and the perfect amount of rich as I want my chocolate to be. Consistent quality over frequent visits The Nut Cracker holds a well deserving Top position on my list. Also available in After Nine (Chocolate and Mint) and Caramel Hot chocolate. 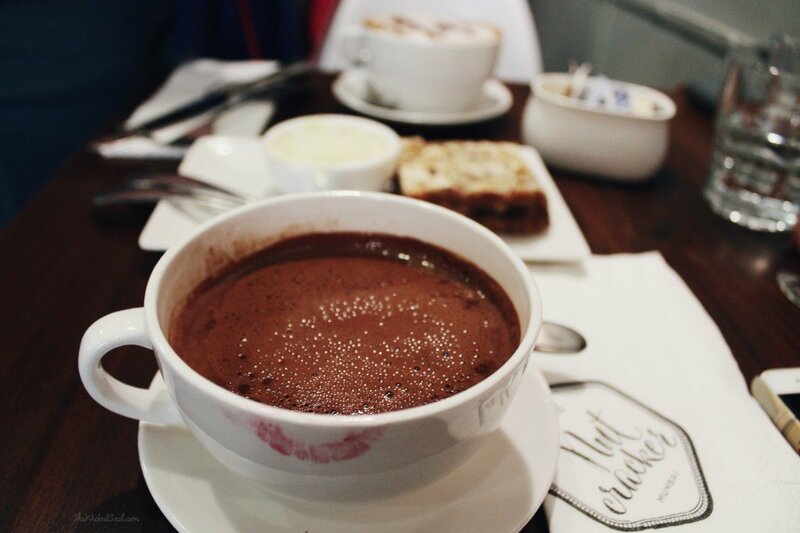 La Folie does the (second) best hot chocolate in town. Hot Cocoa here is made from Single origin Venezuelan (70% hot chocolate), poured from the kettle right in front of your eyes. It’s a treat to watch the thick indulgent molten chocolate filling up your cup. Be bold and get every drop that sits at the bottom of your mug; it is definitely worth it. 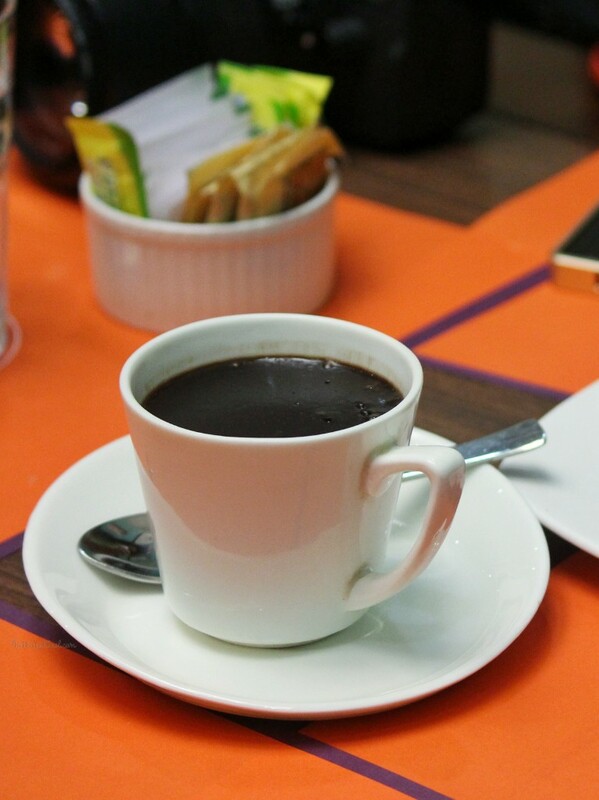 This French inspired café popular for its crepe and coffee, serves a cup full of chocolatey goodness in liquid form. There was a bit of a wait on our visit but we were not disappointed. 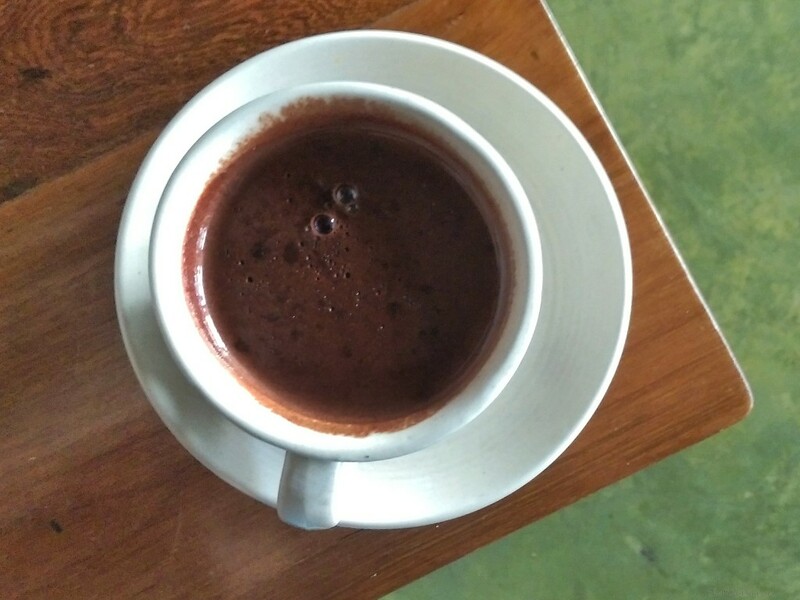 We were treated to a cup of thick and sinfully rich hot chocolate. This homemade hot chocolate is our favourite from the menu. You may have to whet your appetite as its too heavy and may need a partner in crime to try out the crepes. Bandra, the queen of suburbs is renowned for its café scenes. In spite of the numerous cafes and dessert parlours around every corner, San Churro still stands strong over the years. Popular for serving some great chocolatey desserts, Hot chocolate here is a game changer. Spanish Hot chocolate is gloriously rich, and impossibly thick and requires spooning up while Coverture Hot chocolate is for chocophilles who like their Hot cocoa extra dark. Also available in milk & white chocolate. Simply put, walking into San Churro is like stepping into chocolate heaven. This place is difficult to find, but, our love for hot chocolate didn’t stop us from scouting this literally hidden gem. Located in the BMC Asphalt compound, this charming artisanal bakery whips up fresh breads and baked goodies. People don’t often come here for the hot chocolate. Our order was hot chocolate with marsh mallow add ons. Try not to gulp it down instead take it one spoon at a time. 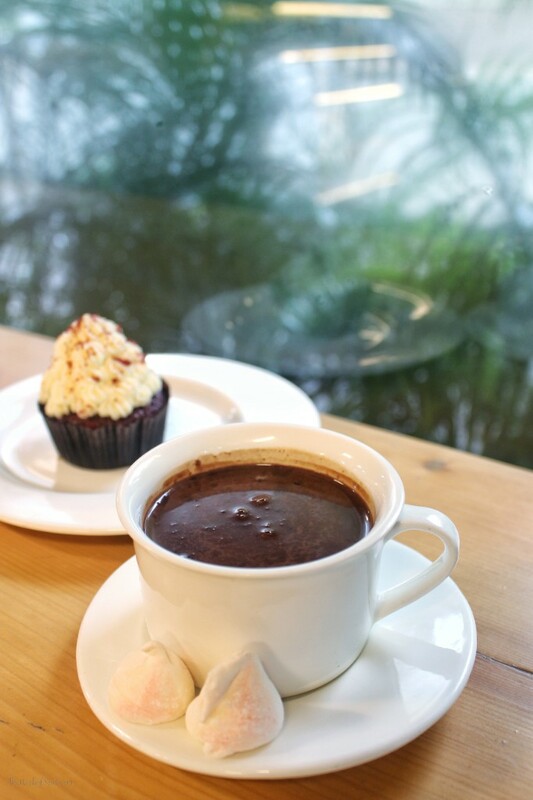 This sinfully delicious cup is a perfect companion on a cold winter’s day. Snuggled in the book store KitabKhana, FFT is a nice cosy spot to spend some time reading a novel while sipping on the thickest hot chocolate. It was surprisingly sweet with a soul satisfying taste. Birdsong is literally hidden in the small lanes of Bandra. 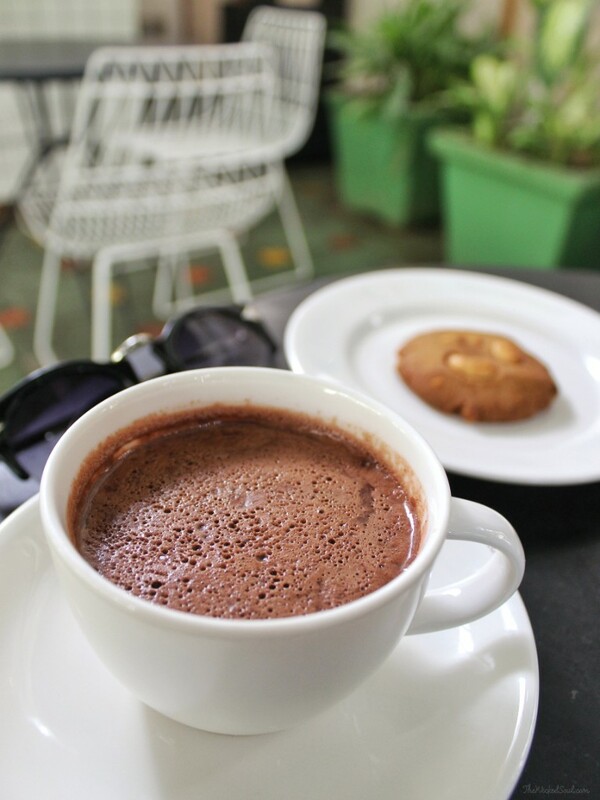 The curtains on a hectic shopping ritual at Hill Road should be drawn with a cup of warm hot chocolate at Birdsong. The consistency of the drink has been a bit questionable on my last couple of visits, nonetheless, the hot chocolate here is still an absolute delicious drink. Note: All the Cafes mentioned above have been visited on my own, not part of my reviews. The views and opinions are purely on my experiences and I would only recommend places I would visit or would want my loved ones too. You had me at hot cocoa. It’s so cold where I am right now, it’s not even funny. This post makes me yearn hot chocolate. The best I ever had, in all my travels, was in Burgos Spain, accompanied by hot churros. Your photographs are beautiful and really incite the eyes and palate to go out and get some hot chocolate! Now! I love hot chocolate. Next time I will surely visit this place. Ohhh these look so nice for winter! Usually my go-to at cafes is coffee, but I think I would have to try these out — I do like a good hot chocolate! I’m not a big hot drinks fan but I love me some hot chocolate. These cups look so delicious! Now I want a cup! Wow. Each one looks more delicious than the last. Now I have the craving for some hot chocolate! Now I’m Craving hot chocolate! Your photos are absolutely gorgeous, I felt like was sitting and sipping with you. I love a good cup of hot chocolate! To my taste I prefer it thick, but even hot cocoa if made with quality chocolate and full-fat milk will do 😀 I like the one with the moon-shaped froth on top! Such a pretty mug, also!